Salix Pharmaceuticals said today it will partner with Cedars-Sinai Medical Center to discover new treatments for gastrointestinal (GI) disorders related to conditions of the gut microbiome, through a collaboration whose value was not disclosed. Salix, a wholly-owned subsidiary of Bausch Health—which changed its name from Valeant Pharmaceuticals on July 16—said it retains the option to acquire any therapeutic discovered through the research. Salix and Cedars-Sinai Medical Center plan to begin that research in the third quarter of 2018, the company said. Research will be carried out by the laboratory of Mark Pimentel, M.D., executive director, Medically Associated Science and Technology (MAST) program, and associate professor of medicine and gastroenterology, Cedars-Sinai Medical Center, which researches irritable bowel syndrome (IBS). The lab’s discoveries include the Salix-marketed Xifaxan (rifaximin), a rifamycin antibacterial whose indications include IBS with diarrhea in adults, and the first blood test for IBS, based on the discovery that IBS is derived from acute gastroenteritis. Xifaxan generated a projected $275.1 million in sales during the first quarter—a figure derived from Valeant’s disclosure in its Form 10-Q regulatory filing that the drug represented 14% of its $1.965 billion in product sales. Xifaxan sales jumped nearly 50% year over year, with the company disclosing that the drug accounted for 9% of Q1 2017 product sales of $2.076 billion, or $186.84 million. Bausch Health is scheduled to report second-quarter results on Tuesday. A new formulation of rifaximin with a new indication is in late-stage development. Studied and described the association between IBS and small intestinal bacterial overgrowth (SIBO), a basis for microbiome therapies. Determined IBS/SIBO to be an autoimmune disease; rather than a psychosomatic condition as previously thought. Developed the first animal model to study treatment of IBS/SIBO caused by gastroenteritis. Uncovered the methanogen Methanobrevibacter smithii (M. smithii) as an agent for causing constipation in humans. Discovered the use of lovastatin as a microbiome treatment for constipation on the basis of inhibiting methane production by methanogens. Pimentel is executive director of the MAST Program at Cedars-Sinai, which focuses on the development of drugs, diagnostic tests, and devices related to conditions of the microbiome. At MAST, Pimentel collaborates with Ruchi Mathur, M.D., whose work focuses on links between metabolic disease and gut microbiome, and Ali Rezaie, M.D., whose research has focused on GI motility. 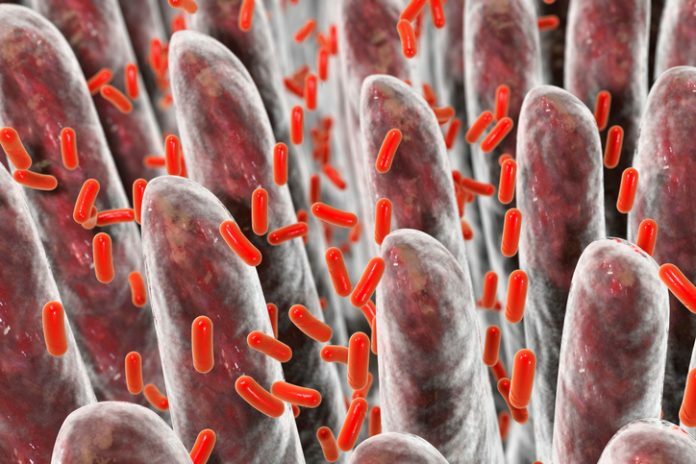 Motility disorders of the GI tract are among areas of greatest interest and work, as are SIBO, IBS, metabolic diseases such as obesity, and other disorders relating to the microbiome.